Nicholas S. DeMario is an associate with Crist, Sears & Zic, LLP. He received his Bachelor of Science in business from Indiana University and earned his Juris Doctor from Valparaiso University School of Law. As a law student, Nicholas served as an editor for the Valparaiso University Law Review. 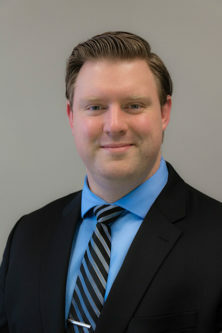 Nicholas concentrates his practice in litigation, labor and employment law, and insurance defense. He is licensed to practice before the Indiana Supreme Court and the Northern District of Indiana. He is a member of the American Bar Association, Indiana State Bar Association, Indiana Bar Association’s Young Lawyers Section, and the Lake County Bar Association.